I have issued invoices for work I performed/goods I sold. The invoices remain unpaid. The debtor is ignoring my calls. What can I do to recover the debt? At first instance we recommend that a strong lawyer’s letter of demand is sent to the debtor giving a short period of time to make payment. If the debtor still ignores this letter (which is less common than you may think! ), we can commence Court action or in appropriate cases assist you to do so yourself. A person who owes me money is alleging work I did or the goods I provided were not of the agreed quality. What can I do to resolve the issue and get paid? We will work quickly with you to identify the essential terms of the applicable agreement. Once this is clear, we will help you to get independent evidence concerning the quality of services/product. If everything stacks up we will sue the debtor for you and resist the arguments against you. Sometimes even if there is no clear agreement we can still get some payment for you of a reasonable sum. The company that owes me money is insolvent. Can I make the directors pay me what is owed? Yes, but only if the directors formally signed a personal guarantee and the company is not in administration. To help guard against this for future cases we can draft a short deed of guarantee for use with your corporate customers. If I have a credit application signed by my customer, does this guarantee that a Court would decide that the applicant owes me the money as specified in the application? The strength of your case depends on all the circumstances and factual background. Having a credit application that is signed by the debtor is better than having no agreement in writing. Usually a credit application will assist greatly to recover the debt. 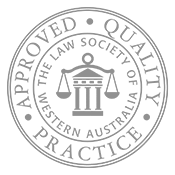 Most credit applications which have not been updated in the last 2 years should be reviewed by lawyers, to check that they are optimised for your business, bearing in mind the applicable law in Western Australia.